When Chase Bailey was diagnosed with autism at 2, his mother feared he'd never enjoy a typical childhood. Indeed, he hasn't. Between appearances with celebrities and hosting his own cooking show, Bailey's life feels anything but typical. During the past two years, the 13-year-old has spiced up ramen noodles with Korean-American street food guru Roy Choi and simmered butternut squash soup with Sting's daughter, Fuschia Sumner. And he baked hundreds of bright blue frosted cookies for guests at an Autism Speaks gala in Los Angeles, where he was introduced by Conan O'Brien. The days when Bailey would eat nothing but pizza, chicken, French fries, chocolate chip cookies, and chips with dip almost seem like a faint memory. "He wasn't even eating food until he was 8 years old," said Nick Shipp, executive chef at The Upper West, the Santa Monica, California, restaurant where Bailey helps cook dinner once a week. "For him to go from that to cooking and eating all kinds of different things, it's pretty remarkable." After her son's diagnosis, friends and acquaintances prepared Mary Bailey for the worst. He'd never be able to have a job, some said. He'd probably never learn to socialize, and he'd never be independent. "You just hear a lot of things that are downers," she said. She immediately placed her son in school and therapy. At home, she struggled to get him to eat. Like many on the autism spectrum, Chase found food overwhelming. The sight, smell, feel and taste of almost everything put on his plate tipped his sensory system over the edge. "I didn't like how it looked," he said. "I didn't like how it smelled." Then he started watching cooking shows with his grandfather. He got hooked on seeing people enjoy the food they were eating. Within six months, he started asking to try some of the foods he saw on shows like Cooking Channel's "Eat St." and Food Network's "Chopped." Among his early requests: fried alligator, frog legs and beef tongue. "He was just devouring it," Mary Bailey recalled with a laugh. Two years later, he confided to his mother that one day he wanted to have his own cooking show. "She was like, 'Why wait?'" Chase Bailey said. Setting out with her home camcorder and using a friend's kitchen, they recorded the first episode of "Chase 'N Yur Face" and posted it to YouTube. The show quickly caught the attention of autism groups. Realizing the impact they could have, Mary Bailey began looking for ways to enhance the production. She hired a professional film crew and started incorporating cooking and shooting episodes into her son's homeschool curriculum. Chase Bailey, using the cooking shows he watched as inspiration, started reaching out by email to chefs he admired. He invited them to tape episodes with him. "It was no big deal," Bailey said nonchalantly. "I'm like, 'If they're doing it, I'm doing it.'" In the show, a confident, charismatic Chase whips up everything from cupcakes to braised rabbit. The show now has more than 30 episodes online and it has garnered tens of thousands of views. "I love that there's a story behind it," said Sumner, an actress living in Los Angeles. She recently taped a holiday special with the teen. "Food is emotional." The most challenging part, Mary Bailey said, has been learning how to produce a show. She spent 20 years in the corporate world before leaving a management position to focus full-time on her son. Chase Bailey said his biggest challenge was learning how to fry chicken while talking in front of a camera. "To see your child go from little to no speech, no eye contact ... having extreme food aversions, all of these symptoms, to almost the exact opposite," Mary Bailey said, "I don't know, it feels miraculous." Chase Bailey dreams of one day seeing his show on television and wants to open his own restaurant. He also hopes his experience can help others with autism. "Don't be afraid to be you," Chase Bailey said. "Hear, hear," Sumner said. "Be yourself because everyone else is taken." Why is food a challenge for autistic children? Food is a challenge for autistic children because it is overwhelming to them. 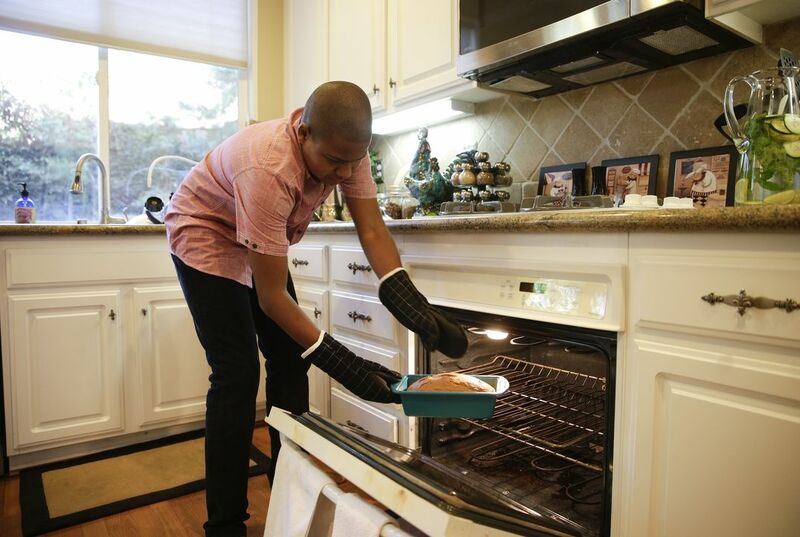 "Like many on the autism spectrum, Chase found food overwhelming. The sight, smell, feel and taste of almost everything put on his plate tipped his sensory system over the edge." I was surprised and didn't know that autism could make you afraid of food. According to the article "Autsitic Teen Turns Food of Fear into Cooking Passion," food is a challenge to autistic children because food is very overwhelming to them. In the article Mary Bailey said "Chase found food overwhelming. The sight, smell, feel and taste of almost everything put on his plate tipped his sensory system over the edge." This statement proves it was hard for Chase to overcome food. 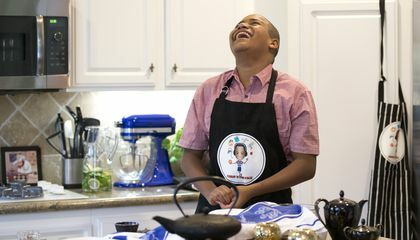 Chase Bailey is inspiration for autistic children to overcome fears of food, or anything, and always show them they can do anything they want to. Food is a challenge for autistic children because of the taste, smell, sight, feel, and taste. In the article it say, "Chase found food overwhelming. The sight, smell, feel and taste of almost everything put on his plate tipped his sensory system over the edge." This quote explains why food is so overwhelming to Chase. I found this article very interesting because I didn't know that food challenged Autistic children. Food is a challenge for autistic children because it is overwhelming to them. "Like many on the spectrum, Chase found food overwhelming. The sight, smell, feel, and taste of almost everything put on his plate tipped his sensory system over the edge. I chose this article because it seemed very interesting to me. Food is a challenge for autistic children because many children with autism find food as an enormous idea to grasp. Toward the middle of the article, it is stated that,"Like many on the autism spectrum, Chase found food overwhelming. The sight, smell, feel and taste of almost everything put on his plate tipped his sensory system over the edge" (paragraph 7). Chase, like many other autistic children, had found food somewhat scary. Food is a challenge for some autistic children because the kids do not like the senses being rushed to their brains whenever they eat. I found this article interesting because, in the future, I want to work in the food industry, and I never knew that some children with autism experience this when they eat. Food is a challenge for autistic children, because it throws off their sensory system. "The sight, smell, feel and taste of almost everything put on his plate tipped his sensory system over the edge." I found this article very surprising that kids are afraid of food, even though avoiding it could be very dangerous. Food can be a challenge for autistic children because it can throw of their senses. For kids with autism, there are many challenges in the daily worlds, as the world is a place full of distracting sights, senses, feelings, and smells. Food is the same way. It can be overwhelming, leading to a challenge over what kinds of food autistic children are willing to eat. I liked this article, as it proved that fear can be warped and turned into something amazing. That to me is pretty remarkable. For someone with his condition to be able to just pass over a fear that strong as easy as he did is insane! That is such a surprise to see someone who would have a fear of food take that bull by the horns and conquer his fears and turn something he probably hates into something he now enjoys.